First up are these deliciously dainty looking Yogurt and Mango Tarts from Herbs, Spices and Tradition. The combination of yogurt and mango makes these a creamy treat that would lure anyone in! Now for the super healthy one, Tahini, Quinoa and Apricot Toasted Muesli from Green Gourmet Giraffe. This muesli would be my idea of a perfect start to the day. I used to skip breakfast but I now have to eat first thing so that I can take my medication and I love the first meal of the day! I am definitely going to add this to my must try list! Gluten Free Blueberry and Lemon Buttermilk Scones from The Gluten Free Alchemist. I love blueberries and they are a perfect match for the sour lemon flavours. These would be a hit here with a lovely dollop of clotted cream! Gluten Free, Dairy and Soya Free Lime and Coconut Cupcakes from Mami2Five. These cupcakes not only look pretty but I bet the lime and coconut combination was a pretty good match too! I love both coconut and limes so I am sure I would love these treats. They will also have to go on my to try list! Thank you to everyone who joined in and for making my 'to do' list even bigger!! This week CookBlogShare is hosted by Steph at Misplaced Brit so go one over and show us what you have been cooking up! Delicious! Thanks for the link honey, can't wait to see what you've been baking :-) ...Set to go live in the morning! 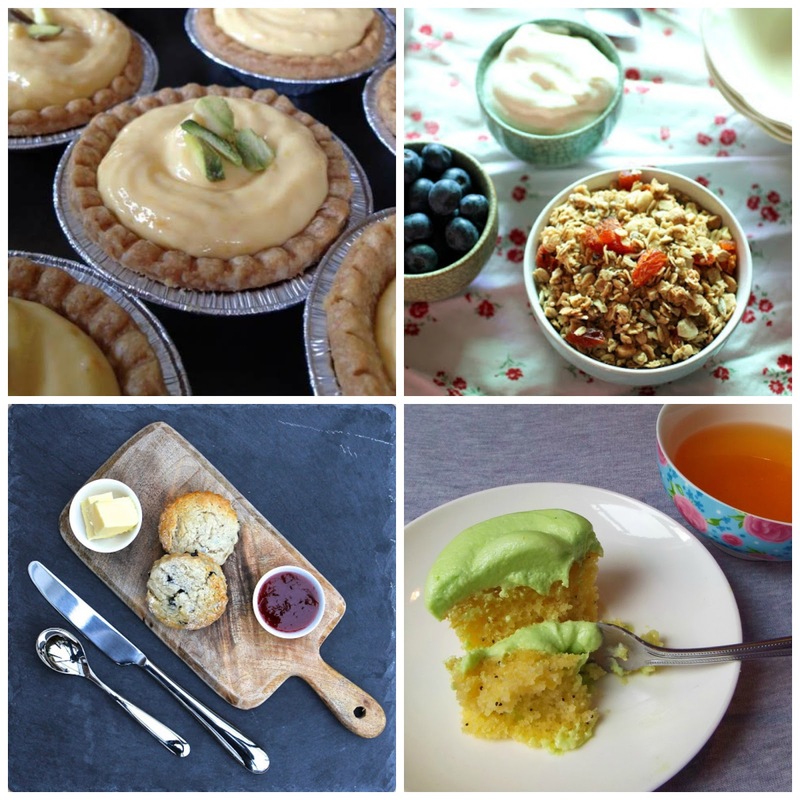 Nice round up, and thanks for featuring my post of mango and yoghurt tart. Ooohh... Just caught up with this! Thank you so much for the feature!